Lee currently works with a team of Retail First Centre Managers as Portfolio Manager overseeing 8 shopping centres. During Lee’s time with Retail First he has also held the positions of Centre Manager for Peninsula Fair, Margate Village and more recently, Redbank Plaza overseeing the major refurbishment, remix and repositioning of the centre. 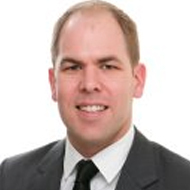 Lee holds a Bachelor of Business Management majoring in Real Estate and Development from the University of Queensland as well as a Real Estate Manager’s Licence. © 2019 Retail First. The First Group Pty Ltd. All Right Reserved.